Sleep is one of my very favourite things. Pre-parenting years, [and post-law school years when I lived on around 5 hours a night and managed to stay sane], I needed at least at least 7 hours of sleep to not be a cranky old dragon [dragon is putting it nicely] when I woke up. Then Jens was born and he really didn’t seem to need sleep. For those that think I’m looking back and remembering it worse than it was, I have diaries full of scribbles from me documenting the minutes, yes minutes he was asleep at a time. By the time he was five months old, I fell asleep standing up, sweeping the floor. It was bad. It wasn’t lack of routine or any of the lovely unhelpful reasons people quote at you – and after I met an 84-year-old retired midwife in the doctors one day who told me she’d never figured out, in her 62 years of midwifery and taking care of babies, why some babies can sleep and some can’t, I realised I just had to deal with it. And I did, and it passed – but I also had NO idea that there were things out there – technological things – that could actually help me and weren’t a complete farce. Yotie was born and he slept better, and Hero arrived 2 and a half years later with no issues about sleeping whatsoever. Three years on from that day and although things are SO good in the sleep department generally, there are still a few things we have problems with. Our boys must be some of the most lucky ever. Hero reads a story with me – usually the Three Little Pigs or Billy Goats Gruff – and the boys read older books with Gav. Everything is going well – and Hero will nod off to sleep as soon as I say that it’s the end. Lyoto usually falls asleep nine times out of ten too, but Jens…. Jens STILL has issues going to sleep and then needs me to sit in with him until he falls asleep. Nearly every night of the week, we’re doing bedtime from 7.50-9.45. I get cranky because I lose an evening and then go to bed later than I should as I’m trying to catch up with work, and you know how it goes. We’re back to cranky Mom again. 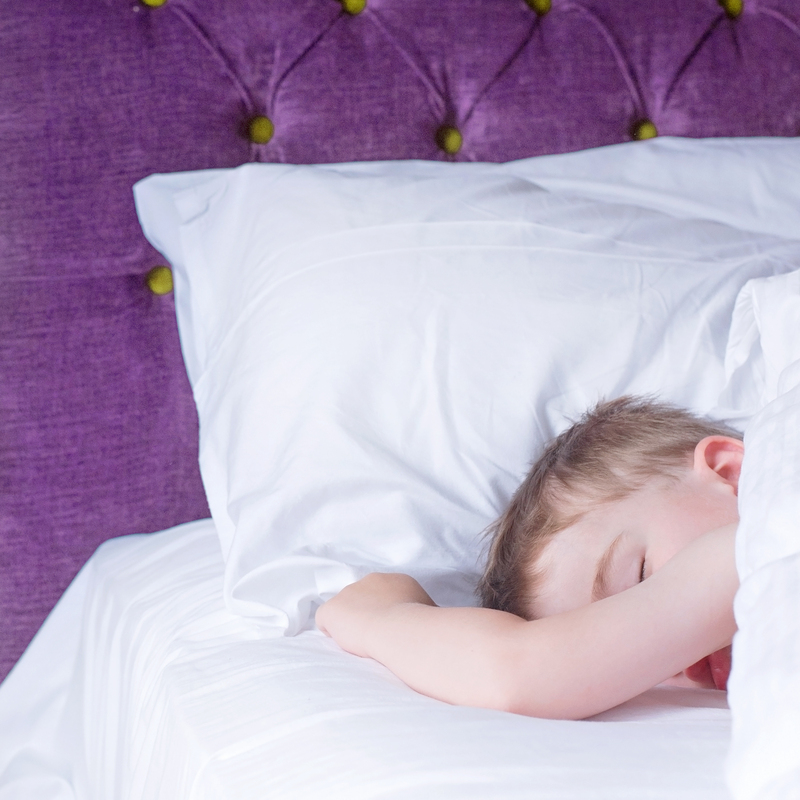 I know parents who leave their children to fall asleep, and that’s fine – but that’s not me. Despite how lovely it would be for me. I was scared of the dark as a child and I’m still not that happy about it to be honest, and I don’t want the boys feeling like I did. We’ve tried mobiles, toys that have lullabies, all manner of routines, but nothing stuck until we had a Thomas Night Time projector. That worked well for a while but then the opposite started happening – they were getting up earlier and earlier and I was back to cranky. One day, one wonderful day, I was contacted by a lovely man from BleepBleeps who offered me the chance to try Suzy Snooze. I was skeptical again because nothing seemed to work for us, but Suzy sounded amazing and so we decided to give her a try. It’s been a few months since we had Suzy and so we’ve really given her a good trial run. This is not a “we tried it for a week and it’s awesome” post. We’ve TRIED this. Enter Suzy Snooze to the boys’ room. She’s quite simple looking and I was very suspicious. 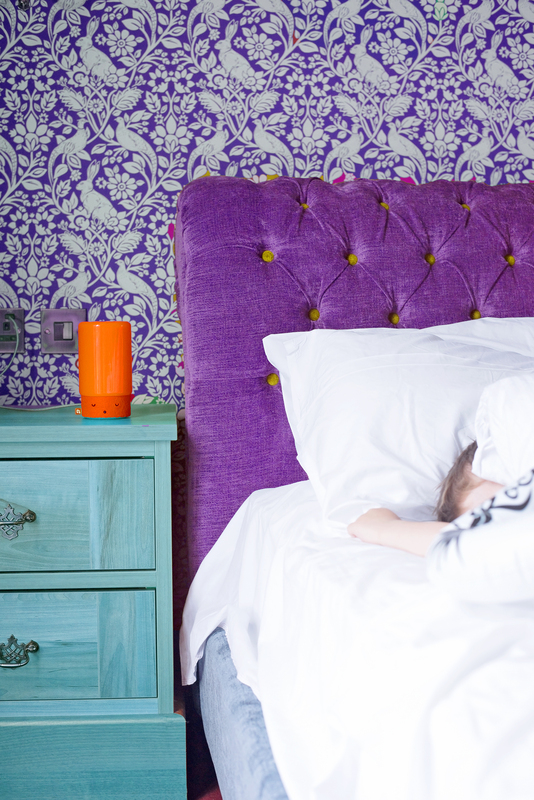 Suzy does three things ultimately – she’s a baby monitor, nightlight and sleep-encourager. I hate the word sleep trainer, so I’ll use encourager instead. We didn’t need the baby monitor since Hero co-sleeps in with me, but we did need to use the nighlight and encouragement. 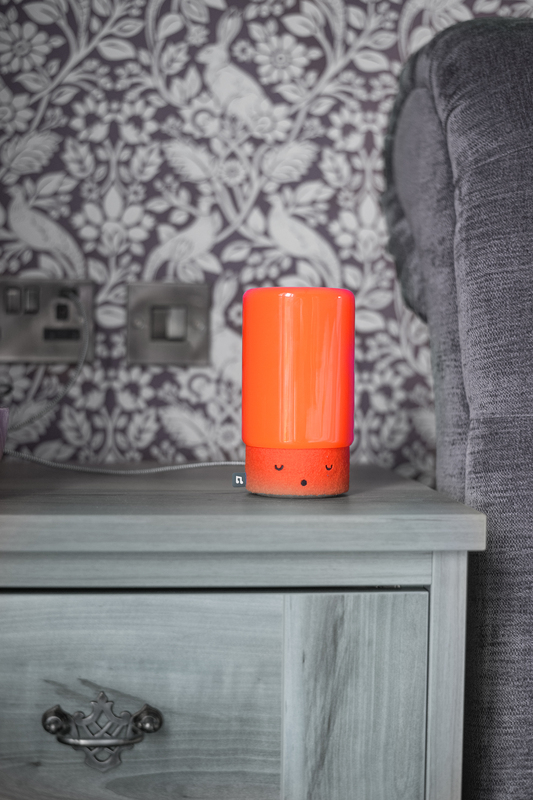 Suzy as a nightlight is brilliant – when needed, you just press Suzy’s head down, she’s like a cylindrical orange mushroom, and her top glows sunset orange whilst tunes are played. They’re the kind I’d never heard before and wondered whether they were for real, but they worked – they’re not at all annoying and I can’t really explain them – they’re not catchy or lingering in your head, they’re just comforting in a very odd way. The boys drift off every time before she’s finished her songs. The nightlight stays on. There’s a warm, cosy glow coming from her that comforts the boys. We haven’t had nearly as many night time cries with her in the room. In fact, I can’t remember the last time one of them woke up crying out for us in the dark, they’ve woken up and stumbled in calmly to tell me if they’re ill. Someone, Suzy sends them back to sleep. 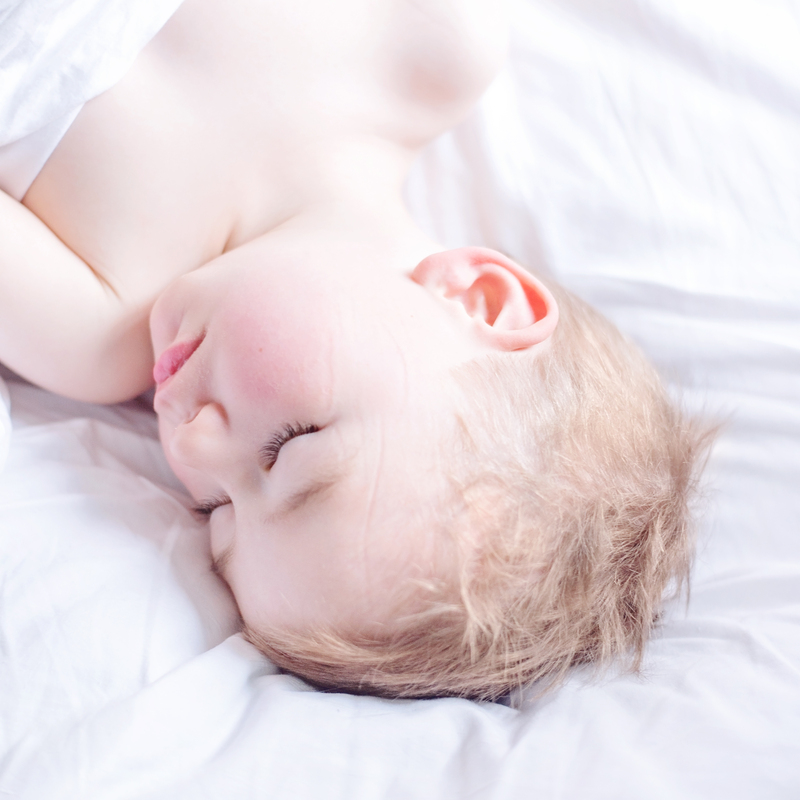 I’ve no idea at all how this works – and we didn’t really believe it was happening, but every time the boys have woken up [except one which involved projectile vomiting], they’ve fallen back to sleep. Usually we’d hear a cry or whimper and that was it, they’d be up. Suzy has sent them back to sleep without us even getting to the bottom sleep. Suzy also tells them when it’s time to wake up – you can programme Suzy to lift her hat when its a good time to get up. The boys now hang out in their room without fear of being told to go back to bed, and I know that if they are up and about, and I’m not, then I’m late. Haha. Suzy can be activated through an app also – we all know how amazing I am at apps, and Gav sets that so that she wakes up at the right time. It’s all brilliant. Honestly. 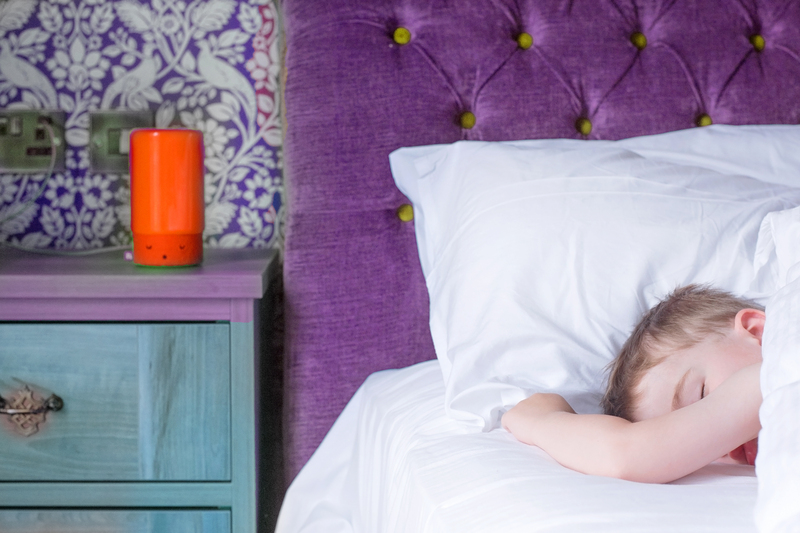 I could never endorse another sleeping nightlight product as much as Suzy Snooze, because she’s just, well, awesome. I can’t tell you how much I wish I’d had one from day one – and truly [sorry, BleepBleeps] I thought it would be just another pretty looking gadget – because she is super cool looking in their room] but I was wrong. I had no faith in her, and in just a couple of months we’ve gone from being up and down the stairs like yo-yos to reclaiming our evenings and listening to the TV at normal volume. Suzy is everything we’ve ever hoped for – I’m practically crying thinking about it! Seriously, buy one. 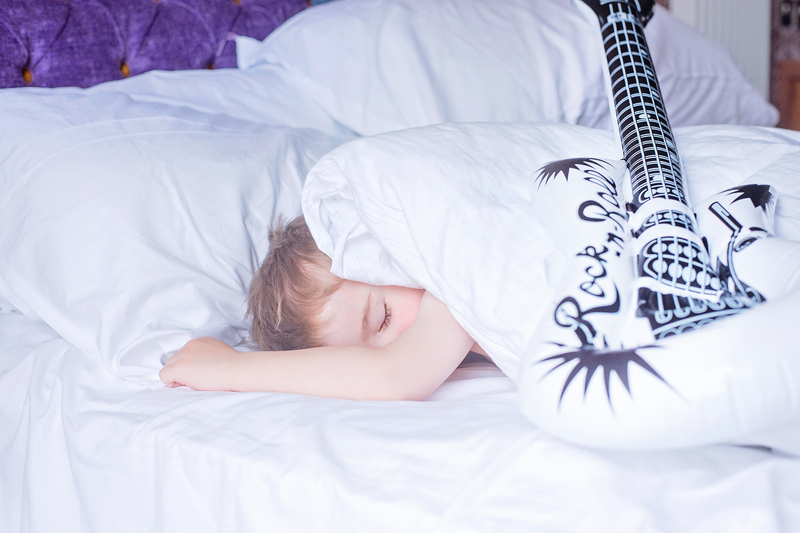 If you need something to get your child to sleep and help them stay sleeping when they need to be, this is it. Get it. Fast. A HUGE thank you to Bleep Bleeps for the miraculous Suzy Snooze and for their massive patience in letting us really test her out to make sure she really, truly did work for us. We received her [and our night-times back] in return for this review.